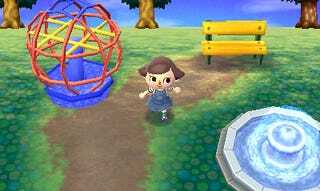 So the last few days, I've noticed the effects of "animal tracks" in my town. It was subtle about 3 days ago; well, now it's becoming more and more catastrophic every day. I've lost about %5-10 of my town's grass in the last day alone. I've had the big patches of flowers on dirt patches since day one, and it's been raining almost every day, but there's still no indication that grass is growing back. Looks like it's going to be City Folk again, folks.